Influenza is a communicable acute infectious disease that is caused by RNA-containing viruses and is characterized by the specific symptoms of intoxication and catarrhal signs of the upper respiratory tract. Etiology: Influenza viruses are negative-strand RNA viruses (ortomyxoviruses) of three major antigenic types - A, B, C. All have the property hemagglutination and possess the enzyme neuraminidase. · Source of infection is ill person with typical or atypical influenza. · Way of spreading - droplet with infected drops produced by coughing and sneezing. · Susceptible organisms – people of all age groups. During periods of epidemic or pandemic spreading, respiratory infections by influenza may exceed all other etiology. Influenza infections have marked seasonality; epidemic occurs almost exclusively in winter month. 1. Inoculation of virus in upper respiratory tract epithelial cells. 2. Destruction and necrosis of epithelial cells. 5. Toxic influence of cardiovascular and central nervous systems. 6. Depression of immunity response – bacterial complication. 7. Allergy to viral parts – autoallergic complication. The incubation period of influenza ranges from few hours to 1-2 days, if contact transmission – up to 7 days, but is commonly 2 to 3 days. The symptoms and signs of ''classic" influenza in older children include abrupt onset, with fever and associated flushes face, chills, headache, myalgia and malaise. The temperature range is from 39º C to 41º C. Although a dry cough and corryza are also early manifestation of influenza. A sore throat occurs in over half the cases and is associated with nonexudative Pharyngitis. Ocular symptoms include tearing, photophobia, burning, and pain with eye movement [ophthalmodynia]. In severe cases signs of toxic capillaritis with petechia on the face, chest, or hemorrhages into sclera may be present (photo 87, 88). In uncomplicated illness, the fever usually persists for 2 to 3 days, but may last up to 5 days. By the second to the fourth days, respiratory symptoms become more prominent, and the systemic complaints begin to subside. The cough is dry and hacking, and usually persists for 4 to 7 days. In young children laryngotracheitis, bronchitis, bronchiolitis, pneumonia, and the common cold all occur. Affected children appear moderately toxic, with clear nasal discharge, cough and irritability. Pharyngitis is usually present, with diffuse erythema and boggy, enlarged tonsilar tissue. Gastrointestinal symptoms have been noted in young children. Febrile convulsion may be in several studies. Acute laryngotracheitis [croup] has been noted as a prominent feature of influenza A. 2. Expressed syndromes of intoxication. · bacterial infection complications [otitis, pneumonia] and mortality appear more often. 1. Viral: encephalitis, meningitis, neuritis. 2. Bacterial: pneumonia, otitis, laryngotracheitis. · Identifying of virus antigens in nasopharyngeal smears by immunefluorescence reaction. · Serologic diagnosis to find antibodies against viruses (CBR, DHAR) with fourfold increasing of antibodies title in 10-14 days may be used. Differential diagnosis between other respiratory viruses as parainfluenza, RS-infection, adenovirus infection and group A streptococcal diseases [angina, scarlet fever], typhoid fever, enterovirus infection, intestinal infections (shigella, salmonella, rotavirus ets. ), meningococcal infection, pertussis, measles, viral hepatitis A. - by violation of consciousness, cramps, surplus excitation or expressed languor. - immunedefficiencies – hemolytic anemia, primary immunedefficiencies, asplenia, hemoglobinopathies, HIV-infection, prolong immunosuppressive therapy, oncologic and oncohemathologic diseases, decompensated chronic cardio-vascular diseases; kidneys insufficiency. - children from social risky families. Treatment of patients with the severe flu mast be in hospital in the isolated boxes. 1. Bed rest up to the normalization of body temperature. 3. Adequate rehydration with oral fluids (lemon tea, raspberry tea, warm alkalic drinks). 4. Control of fever and myalgia (when the temperature is more than 38.5 °C in children elder 3 months); in children before 3 months and in case of perinatal CNS damage, seizures in the history, severe heart diseases – when the temperature is more than 38 °C with acetaminophen (paracetamol 10-15 mg/kg not often than every 4 hours (not more than 5 times per day) or ibuprophen 5-10 mg/kg per dose, not often than every 6 hours. For better effect those two drugs may be given in order one by another with 4 hours interval between them (paracetamol 10 mg/kg, ibuprophen 5 mg/kg per dose). Acetylsalicylic acid medicine as antipyretic is contraindicated because of possible complication by the Reye’s syndrome!!! 5. Nasal drops (in infants before 6 mo – only physiologic saline solutions as Salin; in elder children – decongestants: naphtizin, rhinasolin, nasivin for children 1-2 drops 3 t.d. in the nostrils, not more than 3-5 days). 6. In case of dry cough - cough suppressors (such as dextramethorphan, synecod). 7. Mucolytics in case of the moist nonproductive cough (ambroxol, acetylcystein etc. ), are not recommended for the infants before 1 year. 8. Histamine blockers of the 1st generation (2nd and 3rd are ineffective) as chlorpyramine (suprastin) 1-3 mg/kg decrease cough and sneezing. They should be used not more than 3-5 days because of the sleepiness effect. • Combined mucolytics and antihystamines are not recommended before 6 years, and it is better not to use them in 6-12 years. - If it is still less than normal – hospitalisation to the intensive care unit. · If it is normal – hospitalisation to the infectious department. * Solution is prepared according the instruction. This medicine is appointed at first 48 hours from the disease beginning for 5 days. 2. Zanamivir (Relenza) is effective against influenza A and B – in inhalations from 5 years as medicine of the 2nd row (could provoke bronchial obstruction). 1. Arbidolum from 2 years (2-6 years 50 mg 4 times per day, 6-12 years 100 mg 4 times per day) for 5 days. 2. Remantadin is effective against seasonal influenza A, is given for children elder than 7 years for 3-5 days. 3. Inosini pranobex 50-100 mg/kg/daily in 3-4 doses for 5 days. 4. Synthetic interferon inductors: tiloron (amixin) from 7 years, cycloferon from 4 years, amizonum from 6 years. For mild and moderate forms antiviral therapy is not used. Antiviral therapy influenza А (H1N1 California) also is indicated to people who are risked to develop complications. Oseltamivir - to the children elder than 13 years is appointed in capsules 75 mg 2 times a day during 5 days. This medicine is appointed at first 48 hours from the disease beginning. Virus of influenza А (H1N1 California) is stable to amantadine or remantadine. 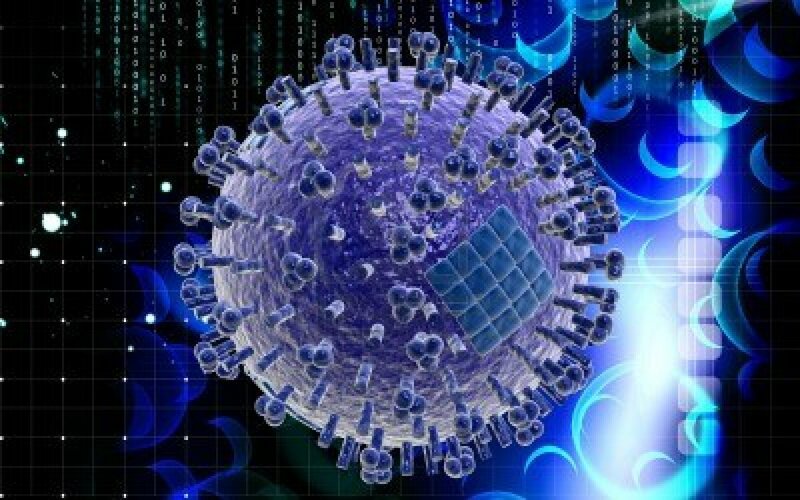 Virus of influenza А (H1N1 California) is stable to Amizon. · in case of nosocomeal pneumonia carbapenems are appointed. 1. Special prevention by immunization .Only inactivated influenza vaccines are licensed for use [whole virus vaccines and split-product]. Influenza vaccine is specially recommended for children 6 months of age and older. First time vaccineers less than 9 year of age need to receive two doses of vaccine separated by a 1-month interval. 2. Remantadin, arbidol, recombined interpheron during 10-14 days. - Children, which are in the closed child’s establishments. A vaccine must be entered 1-1,5 months prior to the seasonal growth of influenza morbidity (in September-November). All other people vaccination against influenza can be done because of necessity or at pleasure. - The moist cleaning up of apartments is needed not less than two times a day. cough, corryza, ocular symptoms, ophthalmodynia, boggy, croup, Reye’s syndrome.